The High Court case of Lloyd v Jones is an example why wills for vulnerable people should be drawn up by solicitors. A high-profile legal case has shown how important it is that wills for vulnerable people are drawn up by professional solicitors. 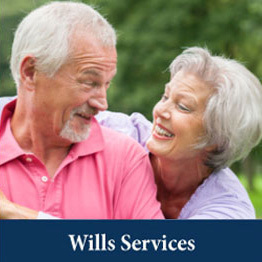 The High Court case of Lloyd v Jones highlighted a number of problems when those who are not trained in the law write wills for people suffering from dementia. The case involved the will of the late Welsh farmer Doris Harris, who died in 2010 leaving a £750,000 estate. The bulk of the estate had been left to Mrs Harris’ son John, known as Ioan and his wife Kathy, who were partners with her in their farming business on the coast between Newcastle Emlyn and Aberporth. A £10,000 legacy had been left to Mrs Harris’ only other child, her daughter Sian Lloyd, who had moved to England some years before. There had been disagreements between her and her mother, the court heard. Mrs Lloyd contested the will, signed in February 2005, claiming her mother did not have the mental capacity to make the will legal because of dementia. She said her mother’s mental decline had begun in 2001. She had visited her mother in hospital in 2004 and had asked staff to refer her to social services. The referral was cancelled when her mother went home from hospital. The court was also told of instances where her mother had been found wandering, and of an application for attendance allowance in 2004 made by Kathy Harris’ sister Sally Jones which said Doris Harris had memory loss, glaucoma, deafness, arthritis, and a peptic ulcer. Mrs Lloyd claimed her mother’s loss of vision from glaucoma meant she could not have read the will when she signed it. She said her mother needed a magnifying glass to read. The High Court in Birmingham was told Doris Harris had been suffering from delusions, complaining that aliens had landed on the farm and were poisoning the water supply, that Saddam Hussein had invaded it, and that she was a £1m prize-winner in a Reader’s Digest competition. Understand what they’re doing and what the effects will be. Understand what property is included in the will. Not be suffering from a mental disorder which prevents them comprehending what they are doing. Not be suffering from a delusion. Mrs Harris’ will was drawn up by her niece and then GP Dr Hedydd Parry Jones without the help of a solicitor. Doris Harris was left to read the will and pointed out to the witnesses where she needed to sign. Dr Parry Jones and her husband David were named as executors. Dr Parry Jones also filled in part of the 2004 attendance form. Sally Jones said the severity of Doris Harris’ condition had been exaggerated on the attendance allowance application form. Dr Parry Jones and Ioan and Kathy Harris said Doris Harris’ mental capacity had not deteriorated until 2007 or 2008 and denied she had been suffering from hallucinations. The court heard she had told visitors to the caravan park on the farm from as early as 1992 she had intended to leave it to her son to ensure it remained a viable business. They said she had been able to have conversations with them until 2007, and had read newspapers and magazines without a magnifying glass. A council official had conducted negotiations over a coastal path route with Doris Harris between 2004 and 2006 had found her “formidable”. Although one expert who had not met Doris Harris had initially found she had been mentally incapacitated, he later decided it was unlikely her mental capacity had been impaired after hearing the evidence about exaggerations on the attendance allowance form. Judge David Cooke dismissed the claim, saying that although Doris Harris had been suffering from dementia, it had not progressed to the stage where it had impaired her capacity to make her will. A professional solicitor will understand how important it is to obtain as much evidence as possible about the mental capacity of a vulnerable person when a will is made. If it is to be contested in the future, that evidence is vital. In this case, the judge was persuaded by evidence from impartial sources like the council officer and holidaymakers from a decade ago. If evidence-gathering is left until the date of a potential court case, there’s no guarantee independent witnesses will be alive, traceable, or remember matters clearly. If someone wants to leave a child out of a will, a professional solicitor will probe carefully about the reasons behind it to get the whole picture to ensure reasons are included – reducing the chances of the will being contested. If a farm is the main part of an estate, a professional solicitor will also examine all available options with their client – including whether the farm could be divided, or whether the beneficiary could buy out their siblings. In this case, the farm was said to be too small to split and there was little chance of Mr Harris being able to raise funds to buy out his sister if it had been left to them both.